We provide fast cash loans up to $500 to help meet pressing financial needs. Our same day loans are available at over 40 locations throughout Miami and South Florida. Check Cashing USA™ is different from banks and other lenders. We never make you wait to access your funds. 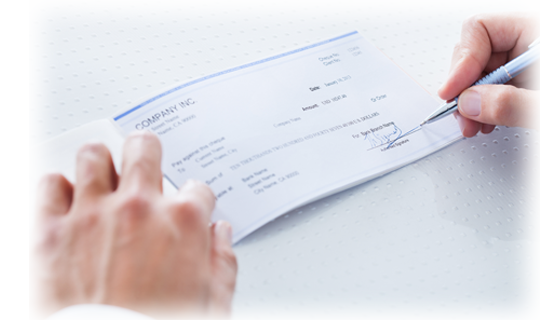 Our personal check cashing service gets you cash in an instant. At Check Cashing USA™, you walk in with a check and you walk out with CASH. Our no credit check loans are perfectly suited to help you with financial emergencies. In addition to payday loans, we also offer a bill pay service and pre-paid debit cards to conveniently handle your monthly payments and everyday purchases. Check Cashing USA™ has many locations strategically placed throughout South Florida to make sure we are around the corner when you need fast cash. When you need money quick, we can help! Visit a Check Cashing USA™ locationnearest you. Apply for your payday loan and get a quick decision! Once you're approved, you get your money instantly. Check Cashing USA™ is proud to offer many locations throughout Miami and the rest of South Florida – reaching us has never been easier.